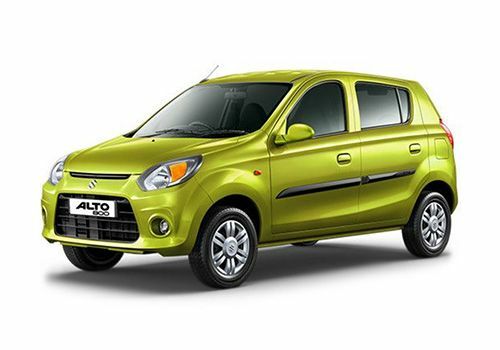 One of the most inexpensive and affordable small car in the Indian car market is the charming Alto 800 series. MSIL is one of the largest automobile manufacturers in the country and has quite a number of models in the market. This company was established in year 1981 and since then has been ruling the passenger automobile segment in the country. The fleet of this company has vehicles in all the segments of the country’s lucrative automobile market. Their range of cars includes entry level small cars that are rather affordable, but at the same time have premium sedans and formidable SUVs as well. One of them is the reasonably priced new Alto 800, which has a striking design and impressive features. This small hatchback was first launched in year 2000 and did incredible sales in the car market. The company had launched the upgraded version of this wonderful small car in a few variants last year and now has added another high end trim to the existing model lineup. This new trim is called as Maruti Alto 800 VXI, which will now be the top end variant and has a balanced amount of comfort and safety features. This new trim has exciting exteriors and the company has put in a lot of effort to make the interiors refreshing and attractive. There are quite a number of new features in this trim such as door side moldings, an integrated music system with USB port and four speakers, a sporty rear spoiler, central locking, full wheel covers and a left hand side external wing mirror. Apart from these, this new trim also has a powerful air conditioning unit, a very responsive power steering, all four power windows and many more such remarkable features. The company has fitted this trim with a 796cc engine, which is capable of generating pertinent torque and power, which is rather suitable for the Indian traffic conditions. This engine is mated with a smooth and efficient five speed manual transmission gear box that gives butter smooth gear shifts at all times. The exteriors of this trim are very stirring and have been slightly refined as well. This new variant has an interesting overall design, which is aerodynamic and very sleek. The frontage of this new variant is neatly done up with a smart radiator grille, which has a thick chrome strip and a large insignia of the company embossed on it. This grille is surrounded by a bright head light cluster that has been integrated with side turn blinkers as well. The body colored bumper is smartly styled, while the front windscreen is made up of toughened glass and has been fitted with a pair of intermittent wipers to it. The side profile gets body colored pull type door handles and external wing mirrors on both the sides, which are black in color. This small hatchback has a set of sturdy 12 inch steel wheels , which have been covered with tubeless radial tyres of size 145/80 R12 that have a superior road grip as well. These wheels are covered with full wheel caps and there is also a spare tyre fitted in the boot compartment of this small car, which is standard across all the variants. The rear profile is very plain with a large wind screen, a bright and radiant tail lamp cluster and the boot lid getting the standard badging on it along with a curvy body colored rear bumper. The designers of the company have given this new VXI variant a molded dashboard that comes with a refreshing shade of color along with stylish accents and internal surfaces that are made of good quality plastics. The seating arrangement is quite comfortable with well cushioned slimmer seats, which help in increasing the internal space marginally and gives good room for five passengers. The front seats have integrated head rests while on the other hand, the roof has molded lining and is fully clad that improves the ambiance of cabin tremendously. These seats are covered with premium quality upholstery, which is carried forward to the door pads as well, which adds to the overall beauty of this Maruti Alto 800 VXI trim. The company has equipped this trim with the same lively 796cc petrol engine, which is mounted in front transverse position. This energetic petrol drive train has three cylinders, which further have been equipped with twelve valves and is a front wheel drive. This active power plant has the capacity to churn out a peak torque yield of 69Nm at 3500rpm in combination with a healthy 47.5bhp at 6000rpm. This brisk petrol drive train has been skillfully mated with a smooth and proficient five speed manual transmission gear box. The company claims that this latest trim has the capacity to generate a healthy mileage of 22.74 kmpl, which is also certified by ARAI (Automotive Research Association of India). The mileage is going to be one of the strongest selling points from the company’s point of view as the petrol prices are quite high in the country at present. This performance packed engine has the ability to propel this variant from 0 – 100 kmph in approximately 18.5 seconds, which is reasonably good for this small car. On the other hand, this charming hatchback has the capability to achieve a top speed of close to 140 kmph, which is rather impressive for a car of its size. The front wheels of this Maruti Alto 800 VXI has been equipped with solid disc brakes, while the rear wheels have been fitted with a drum type braking system, which is very efficient on any road conditions. The new trim also has a very adept, stable and well balanced suspension system, which will help keep this small car and its passengers balanced and give an effortless driving experience. The company has integrated the front axle of this small hatchback with a gas filled McPherson strut type of mechanism along with the highly developed torsion roll controlling device. The rear axle of this hatchback gets a coil spring system along with gas filled shock absorbers, which have a three link rigid axle along with an isolated trailing arm. All these mechanisms put together give this new small car a stable and well balanced drive. This is the top end variant in the model line and the company has integrated it with quite a few features in it. It has door side moldings, an integrated music system with USB port and four speakers, a sporty rear spoiler, full wheel covers and a left hand side external wing mirror as well. This trim also has a powerful air conditioning unit, which cools the entire cabin quickly. The front seats are adjustable minimally, while this variant also gets a responsive power steering. There external rear view mirrors are adjustable from inside and there are a couple of sun visors for the front passengers and also some storage spaces along with a large glove box. The instrument cluster has bright and large dials along with a number of notification and warning lamps. There is an odometer as well as a trip-meter along with a fuel gauge along with a couple of other lamps as well. The newly designed dash board gets attractively shaped air conditioner vents, a large glove box and some open storage space above it as well. Apart from these, there are storage spaces in the doors as well to keep a few things handy for the customers. The central console has the AC controls and other buttons along with the music system. While there is also a horizontally aligned bottle holder near the gear shift lever. The speakers are integrated in all the doors to keep the parcel shelf empty for added storage of other things. Maruti Suzuki India has given this new trim some very essential features, which will assist in simpler handling and control of this car. On the other hand, there are seat belts for all the passengers, A, B and C pillars for added all around protection from any accident. The body structure of this small hatchback is a monocoque construction, which makes this car firm and rigid. Then this small hatchback also gets central locking as well along with a few more such safety features, which adds to the overall handling and security of the small car. 1. Fuel economy is at par with other competitors. 2. Good looking exteriors and interiors. 1. Poor safety features add to the disadvantage. 2. Rear seat is quite small. Maruti Alto 800 2012-2016 is available in 6 different colours - Silky silver, New Blazing Red, New Forst Blue, New Granite Grey, New Torque Blue, Superior white.